"Soorma", Indian hockey player Sandeep Singh's biopic, has hit theatres across Pakistan and Kuwait. The film stars Diljit Dosanjh as Singh, who was paralyzed for two years but returned to the game and won accolades for the nation. 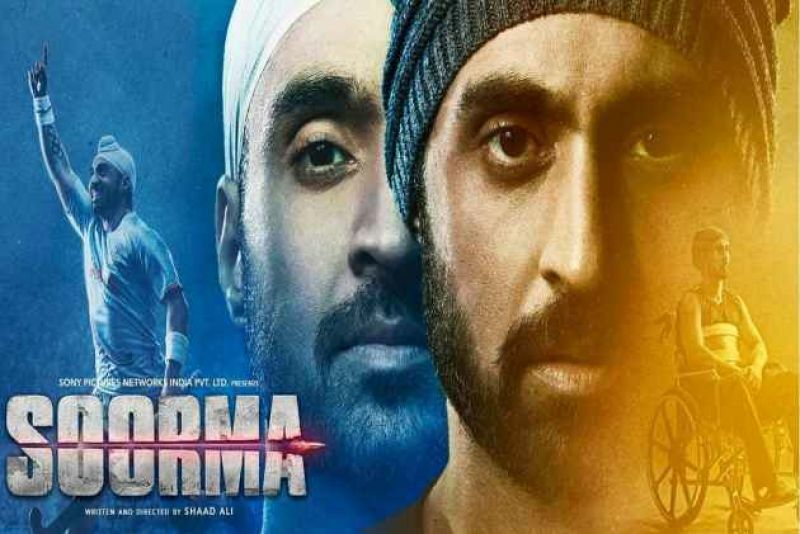 "Soorma" has been cleared across all territories in Pakistan, acquiring 80 percent of the screens there. The biopic released in Kuwait on Thursday with no cuts. "This movie is not restricted to Indian audience but people across the world will get inspired by Sandeep's story. It is an inspiring story that recalls one chapter of our nation's success in the field of Hockey. As a director, I couldn't have been happier than to have my film receive clearance for release," director Shaad Ali said in a statement. "It is probably after a decade that an Indian film will release in Kuwait without any cuts or mutes. It is heartening that our labor of love will be screened in Kuwait and in territories across Pakistan," he added. The movie, which also features Taapsee Pannu and Angad Bedi in pivotal roles, minted Rs 3.25 crores in India on day one. The film is produced by Sony Pictures Networks Productions, Chitrangda Singh, and Deepak Singh.